Who Wins More – Daily Fantasy Or Online Poker? Fantasy sports is being advertised everywhere on television. Many online poker players are wondering if they could earn even more money playing it. That’s exactly what we’re going to talk about here. Many people unfamiliar with fantasy sports think it’s like betting on the big game. It’s far more complicated than that and most people consider it to be a game of skill. We’ll get into why that is in just a bit. There’s one that’s for certain, fantasy sports has created a lot of buzz. It’s on the lips of everyone and chances are you know someone that’s playing it. Fantasy sports is different from sports betting because you’re not trying to guess the outcome of a game. You build a team out of existing players and they play against other teams. This is where the skill comes in. You need to know the players well enough to be able to pick a good team. It’s then played tournament style and the winner can win cash prizes. This is an extremely abbreviated version of how fantasy sports operates. But, it’s essentially the basics for those that have no idea. Many people wonder how fantasy sports can be legal while online poker isn’t. Certainly online poker takes quite a bit of skill to play. It’s an argument that many poker players are making, but it’s falling on deaf ears when it comes to the general public. The reason for that is, they don’t know what fantasy sports is. Most have never played it and only have heard about it in television commercials. What it boils down to is people are splitting hairs when it comes to the law. How can fantasy sports not be gambling while playing poker is? Poker is not a scratch off instant lottery ticket like some would believe. The people who believe that, have never played the game. They really have no idea whatsoever what they’re talking about. That’s the truth and sadly these people aren’t able to see that. It would not be too surprising if fantasy sports became illegal one day like how online poker did. Most would agree at the very least that they’re operating in a gray area of the law. Who wins when people play fantasy sports? Surprisingly, it’s the professionals that win. 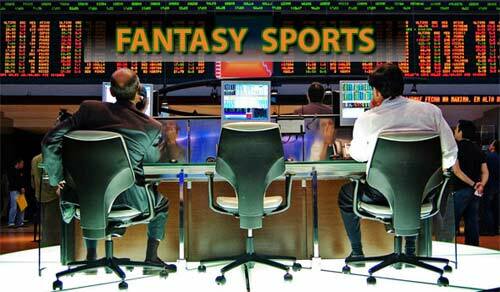 Much like poker, there are professionals playing fantasy sports. Without getting into a bunch of mumbo jumbo how the prize pools work, let’s just say it like this. Most professionals build many different teams full of players. They’ll pay an entry fee for each of those teams and hope for the best. Their risk is spread out because they’ve got so many teams playing for them. The average fantasy sports bettor may have just one team. They may also not be very good at picking the best players for their team. Should fantasy sports be illegal? It wouldn’t be a good idea to make it illegal. All it would do is create a black market for something that already exists. We’ve seen what happened to online poker and it’s not been good for the players. People have a right to gamble at home if they choose to do so. Calling it by different names doesn’t change anything at all. Fantasy sports and online poker should be legal and regulated just like any business out there. Legitimacy is what players crave and they should get it. Settling for anything less is cheapens the experience and puts players at risk.